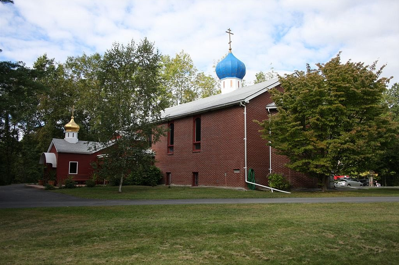 Join us as we go on a picnic to celebrate Russian Orthodox Easter at the Church of All Saints of Russia in Pine Bush, New York! We will have traditional ethnic food, music, singing, and contests. For those in need of transportation, there is a bus leaving for Pine Bush from St. Nicholas Russian Orthodox Cathedral (15 E 97th Street, New York, NY) at 8:00 AM. The cost of transportation is $20. To register please contact Mr. Igor Kochan at (201) 774-0105. For those wishing to travel independently, the address of All Saints of Russia church is 287 Jansen Road, Pine Bush, NY 12566.